It was a heroic performance over two legs against Barcelona that brings us to this point, and the players and supporters can draw strength from that comprehensive display, especially the game at the Camp Nou, where the result never looked in doubt. Juventus have looked a different proposition in the Champions League this season. The experience of the senior players, the addition of Dani Alves, the shift in tactics and approach, all combined with a genuine belief that this is finally our year has seen them progress to the semi-final stage with an impressive record. Just 2 goals conceded, 17 scored and 10 games unbeaten is a testament to the work that Allegri has done and the efforts of the players throughout the campaign. 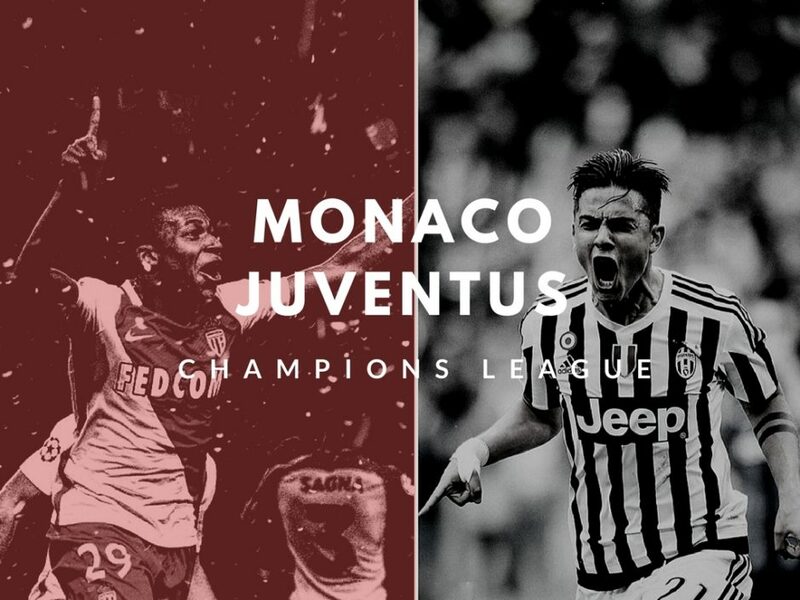 There’s no denying that Monaco will be a tough proposition over two-legs and the Juve players have spoken of the respect they have for their young opponents. They’ve beaten Tottenham Hotspur, Manchester City and Borussia Dortmund, showcasing their attacking talent on their way to the semi-finals. Bernardo and Thomas Lemar have been sensational on the flanks, often cutting inside and allowing the full-backs to maraud forward in support of the attack. They’re well-organised, disciplined and every player knows the role of his team mate to the point where they can cover in various positions and never lose their shape. This will not be easy. 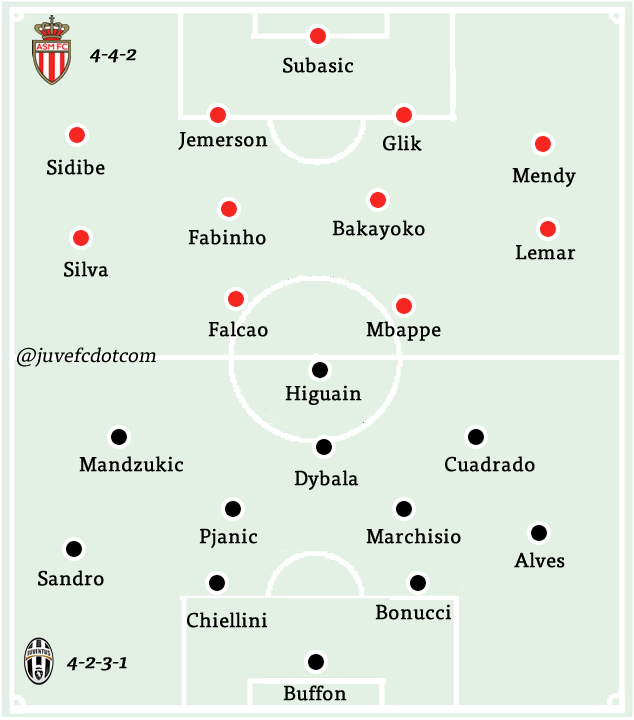 For all Monaco’s attacking strength, Juve have played all the better since the shift to 4-2-3-1, using all our attacking players at the same time to maximum effect. Given Monaco’s obvious threat down the flanks, we can be thankful to have players like Mario Mandzukic and Juan Cuadrado, always ready and prepared to track back in the wide positions to cover for the defence, as we saw against Barcelona. The draw against Atalanta was a similar sort of test, in some ways, to this match – A young side, full of confidence and intent, not pandering to the reputation of the team in front of them. We’ll need to be sharper, better organised and more disciplined than we were at the weekend. “Monaco play with great pace on vertical lines. They are very different to two seasons ago. “The statistics show Monaco have changed both in attack and defence. They tend to do much better in front of goal, whereas two years ago the characteristics of their players suggested much more solidity. “Leonardo Jardim has done an extraordinary job. They are in the Champions League semi-final, ahead of PSG in Ligue 1, who were one of the big favourites to win the Champions League, so you can’t argue with that. “Before the injury, Falcao was one of the best centre-forwards in the world. Now he is returning to an extraordinary and very dangerous striker. “The numbers speak for Monaco. The forwards work well together, Falcao has experience and is a fox in the box, Mbappe has great pace and technique, loves running into space. The whole team has improved over two years. There won’t be too many surprises in the starting XI – Gigi Buffon will start in goal, with Dani Alves and Alex Sandro playing in the full-back roles and Giorgio Chiellini and Leonardo Bonucci playing in the centre of defence. Sami Khedira has been in superb form since the start of the year but his absence through suspension will give Claudio Marchisio a chance to play in midfield alongside Miralem Pjanic. Juan Cuadrado and Mario Mandzukic will play on the wings while Paulo Dybala will sit just behind Gonzalo Higuain. 4-2-3-1: Buffon; Alves, Bonucci, Chiellini, Sandro; Marchisio, Pjanic; Cuadrado, Dybala, Mandzukic; Higuain. For a full Monaco preview, read our Q&A here.